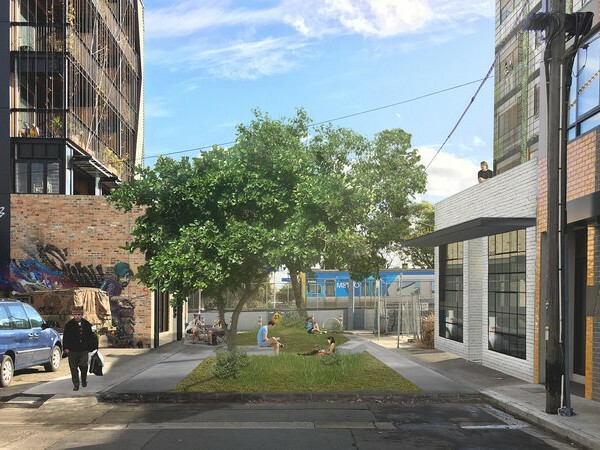 Breathe Architecture has started an online petition to convince Moreland City Council to consider the construction of a pocket park at the end of Florence Street in Brunswick. The petition is accompanied by a letter to the council which requests it recognise the positive contribution a park at the Florence Street cul de sac would make to the local community and that it give whatever assistance it can to initiate this project. The park would be located on the end portion of the street which divides the award-winning apartment complex The Commons and Nightingale 1.0, another apartment building currently under construction. Breathe says the local area is in desperate need of public, open green space and relief from the relentless built form, with the nearest parks being over 800 metres from the area. It believes that this pocket park, and ultimately for a series of pocket parks in Brunswick on similar streets such as West Street and Duckett Street, would contribute to the visual amenity of the area and enhance the sense of community in the neighbourhood. The firm could however run into a familiar hurdle regarding carparking provisions at the site. Breathe went through a lengthy battle with the Victorian Civil and Administrative Tribunal over carparking provisions in the Nightingale 1.0 development. Breathe wanted no carparks which was considered fine by Moreland City Council. But the VCAT overturned the council's decision and the architects eventually settled on providing three car parks for the development. Breathe is seeking 500 signatories for its petition and at time of print has garnerd 375.